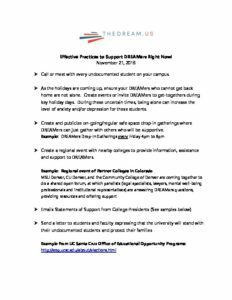 A guide for advocating for equal access for financial aid for DREAMers through private, state, and institutional partners. 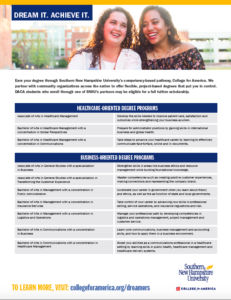 Working with on-the-ground partners, the initiative will provide full scholarships to DACA students to pursue associate and bachelor’s degree programs through SNHU’s competency-based education program, College for America. 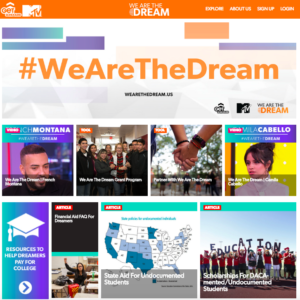 Your home for the most important resources and trusted information on being undocumented in the U.S.
We have assembled a list of how other colleges are supporting our Scholars and other undocumented students (last updated 11/29). 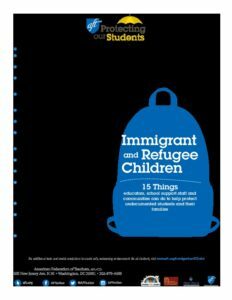 A guide created by the AFT provides information for educators on their student’s rights, laws, and what schools can do to continue to support and protect immigrant students. 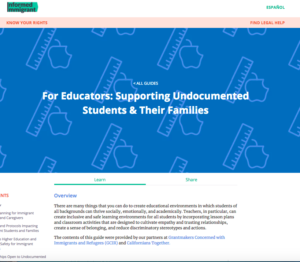 15 Things Educators Can Do To Protect Undocumented Students and Their Families The following is a guide with 15 concrete things educators, school support staff, and communities can do to help protect undocumented students and their families. 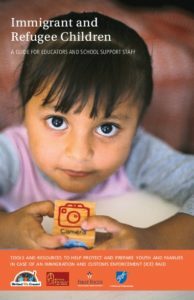 A guide created for educators, school support staff and service providers who teach, mentor and help open the doors of opportunity for undocumented youth and unaccompanied and refugee children currently living in the United States. 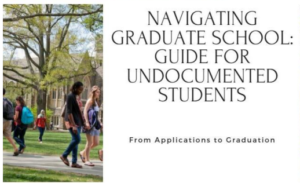 Guide details legal and practical concerns of undocumented students who wish to pursue graduate school. Topics addressed include the application process, accessing financial aid, transportation, employment, taxes and resources for support. 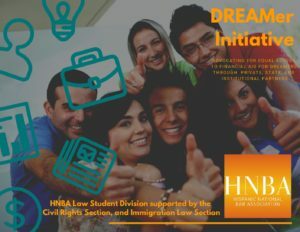 TheDream.US, The Presidents’ Alliance on Higher Education and Immigration, and the UndocuScholars Project at UCLA co-sponsored this webinar presenting the findings of two new studies: “In Their Own Words, Higher Education, DACA & TPS: Results from a National Survey of TheDream.US Scholars;” and “Undocumented Student Resource Centers (USRCs): Institutional Supports for Undocumented Students.” Leaders from USRCs discuss their effective practices and how to start, run, and sustain these centers. NACAC is dedicated to providing counseling and admission professionals with the expert advice and tools they need to better serve students and improve the college transition process. They have a Knowledge Center where you can find more information on Undocumented and Immigrant and Refugee students. The following website has a scholarship listings that cover all MBA students, minority students, women, and veterans. Details: Only one scholarship is awarded each year. This scholarship is non-renewable and can be applied to one academic year. Applicants must be born outside of the U.S and currently enrolled (or accepted) as a full-time undergraduate student at an accredited U.S college or university. High school seniors intending to enroll are also eligible. Recent transcript must show a weighted GPA of 3.4 or greater. The scholarship applicant must submit a 500 word essay that declares his/her personal vision and demonstrates the potential to achieve that vision. Please also submit one recommendation along with each essay. 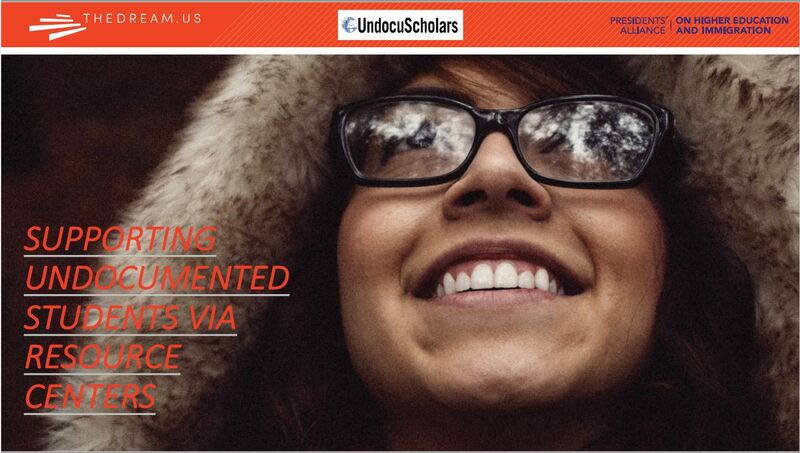 Undocumented students can apply for this scholarship. 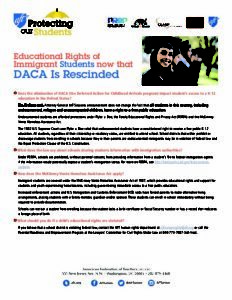 Several states currently have laws permitting certain undocumented students who have attended and graduated from their primary and secondary schools to pay the same tuition rate as their classmates at public institutions of higher education. 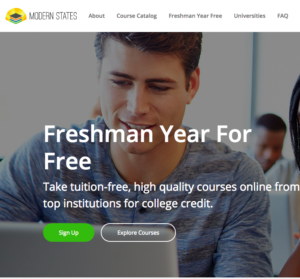 See a list of resources and information on the states that have in-state tuition.